Sure, I can help. Why do you want a Korean name? There are other possible HanJa for 수하나, and picking different HanJa can give the name another meaning, too. With the examples above, 水(su) means water and 夏娜 (HaNa) means summer (or great) beauty (or elegance). My korean name is 진수연 (Jin Soo Yeon) and my Chinese name is 陈舒恩 can I know the meanings of them? Are you taking a Chinese name and picking the closest sounding Korean name? Jin – 진 (陳) is a Korean family name/surname that is the most similar to 陈. When this character is not used as a surname it has many other meanings, such as to display or exhibit. Thank you very much! And yea, I was using the name that sounds closest to my Chinese name. So, does Jin – 진 have an actual meaning when it’s a surname? Jin 진(陳) could mean to display or exhibit when it isn’t used as a surname. If you choose the following HanJa for SooYeon: 秀妍 then your Korean name would be 陳秀妍 and could mean “displays/exhibits (Jin 陳) elegant/flowering (Soo 秀) beauty (Yeon 妍)”. Oh, wow! Thank you for all this help! 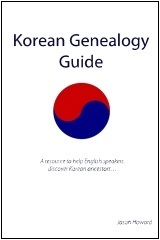 Can you help me create my korean name? I want one of it. I was born in June,12th 1996. Does it make any sense? Can you help me also to create my korean name? Can you help me,what is my korean name? Can you help me,do I have a korean name?If I have one what is it? I want a korean name but it’s hard composing one…my chinese name is 李思丽- 李 is my family name and the second character means wise kind of and the third means beautiful. Li si li is how you would pronounce it…I want something different but similar…it’s so hard to track down the romanization and Hangul of a character TT_TT. All I know is that my family name is 이. This is so hard. Hi, my chinese name is 陈爱珍。So, my korean name is Jin Ae-Jin right? Does my name sounds weird and rare in korean? 안녕! i’m having trouble creating my name could you help me pls? Hello! I would also like to have a korean name but I would like to have one that sounds good (having a nice meaning would be a plus too) and one that is not too weird? My name is Hajar (하잘 sounds kinda weird) My korean friends proposed to leave the 하 and get one like 하영, 하은… But I’m not sure? 도와주세요~ Thank you! Some Korean girl names similar to Hajar include: Hea-Jung, Hye-jung, 현주 Hyun-Ju, Hyun-Jae, Hyun-Jung, Hae-Ryung, He-Ran 히란, Young-Ja… Hae-Jung (해정) seems the closest. There are a lot of possible meanings for Hae ( 害 海 海 亥 解 奚 該 偕 楷 諧 咳 垓 孩 懈 瀣 蟹 邂 駭 骸 咍 ) and Jung ( 丁 頂 停 井 正 政 定 貞 精 情 靜 静 淨 庭 亭 訂 廷 程 征 整 汀 玎 町 呈 桯 珵 姃 偵 湞 幀 楨 禎 珽 挺 綎 鼎 晶 晸 柾 鉦 淀 錠 鋌 鄭 靖 靚 鋥 炡 釘 渟 婷 涏 爭 頁 旌 檉 瀞 睛 碇 穽 艇 諪 酊 霆 埩 妌 梃 胜 ). Hwa 화 ( 花 in hanja) means flower… That is used in names a lot. No problem… Do you need a girl or boy name? Do you want it to sound a little like your name? If so, what is it? I was wondering if you could give me a korean name too? My name is Gem and i also have another nickname “Aine” but i rarely use it. I would like to have a korean name that has same meaning as gem or jewel. I’ve researched one and came up with Jin Kyeong but my korean friend said, it’s not that new already so it would be great if you could give me something fresh. (^ u ^)/ Thanks admin. Hello! I am an author and am currently writing a story that takes place in historical Korea. I am having trouble creating names for all the characters. Do you have any recommendations for a website I could use or a naming scheme to help me in creating the names? May i know what is the meaning of my name?? Hi my name in Chinese is 梁靖恩, can you help me to make it sounds korean? (: cos I’m having problem translating my name. Hi can you help me with a korean name? My English name is Celine which I assumed would be 슬린? And my native name is Minh Anh, my last name is Tran. Minh Anh does sound like Min Ah but I don’t really like Min Ah. I want a name based on Celine. Thank you! Hello, my Korean friend gave me the name 하민, the only problem is I have no clue as to what it means. He won’t tell me either, is it possible for you to tell me the meaning? Hi I have Korean name 김유진. I create the name with my friends. May I know what is my HanJa name and the meaning for my name? Could you help me create a name in Korean, my first name is Hayley wand my surname is Waters? I’m Jude Vinnarasi Elizabeth. Can you help me to get my korean name? Here Elizabeth is my Last Name(i inherited my mom’s name as last name). Vinnarasi means queen of heaven. It’s the name of mother mary. People call me ‘vinsy’ and ‘jude’ too. I want a name related to my original name. Can you help me? My korean name is 박 라희. Can you tell me if it has a meaning? and how can i write it with Hanja? I want korean name and chinese name too.My name is Su Shune Lei Naing.Naing is my father’s name.I like Park Chanyeol.Give me Korean and Chinese names. What is the meaning of korean name 수랴 and what is the meaning of chinese name Chan Lei?? What is the meaning of korean name 박수랴 and what is the meaning of chinese name Chan Lei?? I want korean name and chinese name too.My name is Su Shune Lei Naing.Naing is my father’s name. Give me korean and chinese names. I searched my name in korean is shin ha ni . What is the meaning of shin ha ni ? Hello.. I want a korean name but it’s too hard to figure out.. My chinese name is Hong Li Mei or Hong Lee Mei.. I don’t know what is the hanja for it though.. Please help me find my korean name! My family name is Hong..
Hello! I am in the process of learning Korean and am planning on visiting Korea in the near future. I want a Korean name, if you could please help me! My first name is Julia (Joo-lee-a) and my last name is Rosenkrantz (Rose-en-kran-ts). I know that my first name is 줄리아 . But I would like to know my full name. Thankyou for your help, 부탁합니다! My name is 李佩霖 and I was going through your table of names. Figured that my Korean name is Lee Pae Rim. Is there any meaning behind my given name in Korean? My korean name sounds kinda weird. Do you have any suggestions? I want to know my name meaning. Hello~ I find this very interesting. My name is hard to change to Korean. Do you have a suggestion? I was thinking Na Zhu Wa but it sounds weird and I don’t know if those words exist in Korean. could you please to convert my full name into Korean name ? Hello! I have studied Korean and Chinese for a while now and would like to have a name in each of these languages. I decided my Korean name will be 남진우 or 남준수 (준수 makes me think of the singer 김준수 haha.) I’m a guy but I don’t mind if my name could be for either gender or if it means something like beautiful. But anything that sounds beautiful or profound or means elegant sounds good too, (But I’m open minded about the characters to use.) I also want one whose hanja could be directly used in Chinese, if you know how to select a name like that too I would be so happy. Will you please help me chose some good hanja for these two names?? Thanks so much!! Also I see people in the comments mentioning they used their birthday to select a name. What does that mean? I found this interesting. My name is Elaine and I have a middle name it’s really long but it’s about love so I thought 리애 RiAe would be appropriate? What are your thoughts?